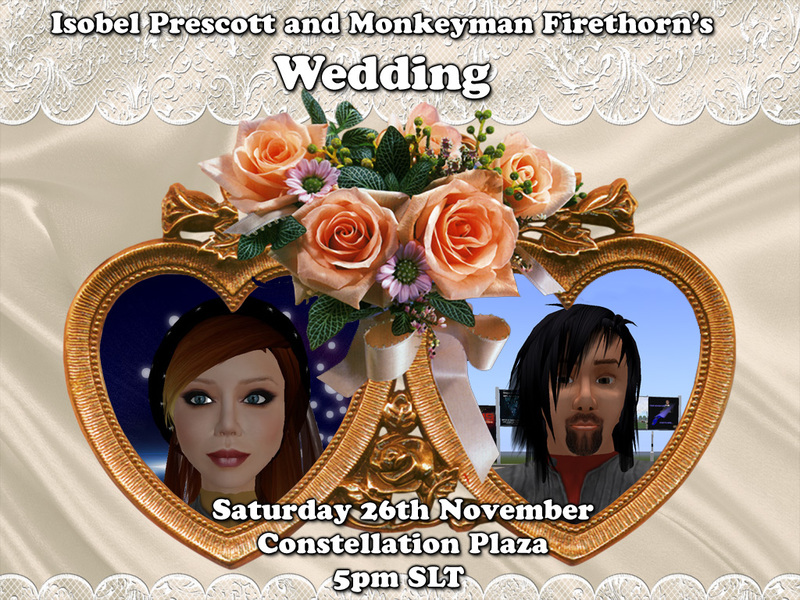 You have been cordially invited to the wedding of Isobel Prescott and Monkeyman Firethorn. the Wedding will take place at 5PM SLT this upcoming Saturday 26th November at the church Located in the center of Constellation, with a reception and dance afterwards at the Roddenberry Center in Galaxy. Dress is GFC Dress Uniform.